The conversation about video games is blossoming right now. It’s a million conversations, really, touching upon everything from arcane design philosophies to games’ political messages to the never-ending debates about free speech. It can all be a bit overwhelming. But if you want an engaging, enjoyable tour of the video game commentary in 2015 conducted by a smart and entertaining writer, you’d be hard-pressed to do much better than “How to Talk About Videogames,” a new book by Ian Bogost. 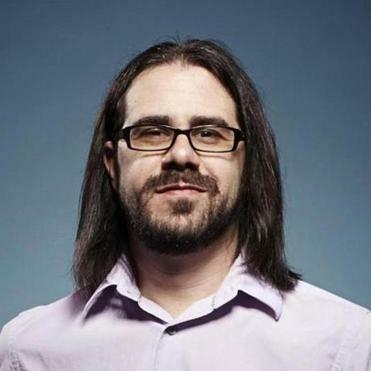 A game designer and professor at the Georgia Institute of Technology, Bogost writes regularly about the business and art of video games for a wide variety of outlets, including The Atlantic, where he’s a contributing editor. “How To Talk About Videogames” consists of 20 of his essays, and they’re all over the place — in a good way. While some require a bit of knowledge of the subject or title in question to be fully understood, Bogost has a gift for connecting the sometimes niche worlds of video games to broader themes. In one essay, for instance, he criticizes certain big developers for benefiting from the attention generated by free-speech controversies, but not using their cherished free speech to actually say much of anything. By way of example, he relates the story of one “Medal of Honor” game that was initially planned to let users play as the Taliban, sparking a predictable media firestorm. The game’s publisher, Electronics Arts, backed off the plan, and in doing so revealed that the “Taliban” label was just that — a label. That is to say, “Medal of Honor,” was never going to actually force the user to grapple with what it would mean to play as an enemy soldier fighting on behalf of a brutal fundamentalist group. “The Taliban” was just another team to play for or against, nothing more, its moniker switched out for the more sterile “Opposing Force” by the game’s parent corporation. EA, a cynic could argue, was just in it for the controversy, not to stretch the medium in a way that would tap its considerable potential for helping facilitate uncomfortable conversations and disturbing but meaningful experiences. In some essays, Bogost tackles individual games; in others, he weaves in and out of the gaming world to explore bigger questions (What exactly are sports?). I really enjoyed his perspective on the ways developers have failed to fully take advantage of motion-capture technology like the Wii consoles and Kinect hardware for Playstation — particularly the way he tied it into a shocking, darkly brilliant offline board game. My favorite essay, though, is probably the first: “The Squalid Grace of Flappy Bird.” “Flappy Bird,” you may recall, was an extremely simple mobile game created by a then unknown Vietnamese developer that briefly lighted the Android and Apple mobile app markets afire in late 2013 and early 2014, racking up millions of downloads and earning its creator sudden, shocking riches. The graphics were rudimentary, the premise simple: Tap the screen to give a little upward boost to a bird that is flapping along as an endless series of pipes (which look suspiciously like the ones from the “Super Mario Bros.” games) with randomly placed gaps approach. The goal is to simply get through as many of these gaps as possible — sometimes by increasing the bird’s altitude, sometimes by decreasing it — and every time you do, you get a point. That’s it. Your bird never starts going faster, the landscape never changes. It’s just pipe after pipe after pipe, forever, if you’ve got the stamina. It’s hard. “ ‘Flappy Bird’ is a stupid game,” Bogost writes early on. But he doesn’t leave it at that — he goes on to expound on the game’s stupidity and difficulty, concluding that there’s a rare kind of beauty lurking beneath its slapdash 8-bit interior. The game simply refuses to follow the usual rules: It doesn’t scale up the difficulty, for instance, instead offering an “utterly uniform” experience throughout. This is a game that is what it is, and it embraces that, and that’s all there is to it: “Flappy Bird demands only that you do the same thing again and again, until something else interrupts you,” he writes. The question of how to talk about video games is an open one. One moment the conversation is about free speech; the next, a dumb little bird in a bizarrely addictive game. That’s where we’re at now, and as long as we have guides like Bogost to help us explore unfamiliar terrain, both the games and the commentary surrounding them will only get more exciting.